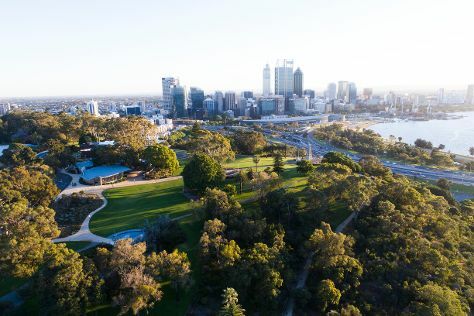 Explore Perth's surroundings by going to Upper Reach Winery (in Baskerville), Fremantle (Fremantle Prison, The Fremantle Round House, & more) and Caversham Wildlife Park (in Whiteman). Dedicate the 5th (Fri) to wine at some of the top wineries in the area. There's still lots to do: admire the natural beauty at Kings Park & Botanic Garden, pause for some photo ops at Kings Park War Memorial, admire the masterpieces at Art Gallery of Western Australia, and contemplate the long history of The Bell Tower. To see maps, reviews, and other tourist information, use the Perth trip builder site . If you are flying in from New Zealand, the closest major airport is Perth International Airport. In June in Perth, expect temperatures between 23°C during the day and 9°C at night. Wrap up your sightseeing on the 5th (Fri) to allow time to travel back home.